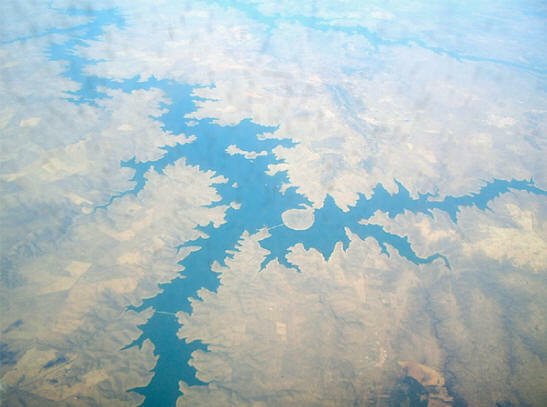 shows the La Serena Reservoir, established in the Zújar River, Badajoz, Estremadura, Spain. The mythical dragon drives a wedge in a variety of ways. While scholars are divided about the origin and the meaning of the symbol, the dragon itself, in untold creation myths, carves out features of the landscape such as rivers and valleys. A common story-line, as yet undetected by comparative mythologists, is that the surface of the embryonic earth used to be flat and featureless, until the contortions of the monster produced familiar elevations and depressions, including waterways, canyons and mountains. A few examples will illustrate the theme. 'When he carried the creator from end to end of the earth, wherever they rested a mountain arose … in his travels over the earth Dã traced out the courses of the streams; till that time there were only stagnant waters (tã); he dug out channels in which the waters were to move. Thus the world was made ready to receive life'. In the Kimberley district of Western Australia, belief was current in 'a giant serpent named Wonnaira who made all the rivers as he travelled inland from the sea. The big waterholes along the river courses were places he rested when he was tired'. In southeastern Australia, it is claimed that 'The River Murray was made by a Snake. He travelled from the head of the river to the mouth, and as he went along he formed the valley and the bed of the river'. To modern geologists, this archaic, cross-culturally attested ‘theory’ of river formation is amusing at best, embarrassing gibberish at worst. The recurrence and consistency of the odd notion of a giant snake gouging out trenches do call for reflection, however. What natural force, if any, does the excavating snake or dragon represent? 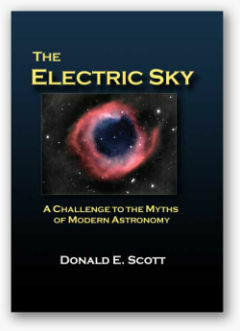 'The tail of the celestial serpent is twice the length of the distance between the earth and the sky; that is why there are always two reports when a thunderbolt crashes, the first of the sending of the bolt to earth, and the second of the recoil of the bolt – really the sound made by the tail of Aido Hwedo – as it returns above. 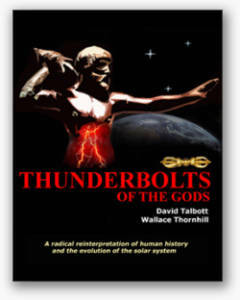 … Aido Hwedo acts as bearer of the thunderbolts of the royal master among the Thunder deities'. The Toba Batak equated Naga Padoha with Panē na Bolon, 'the underworld-serpent', who 'sends the rains, he creates the waves, the thunder and the lightning …' One account stipulates that the type of lightning presided over by Panē na Bolon is sheet lightning observed at twilight that is oriented towards one point of the compass and shifts with the seasons. Throughout Australia, the ‘rainbow serpent’ bears an intricate relationship to the lightning. An example is Borlung, the rainbow serpent as known to communities from Arnhem Land, which was stated to take 'the form of the lightning-bolt which heralds the approach of the monsoon rains'. The conjecture that many mythical snakes or dragons signify bright plasma filaments observed at times in the earth’s atmosphere successfully accounts for a large number of traditions. In many cases, the assumption of a mundane sighting of an auroral band, ray or curtain suffices. In other cases, specifically where the ‘deep’ mythology of creation is concerned, more intense types of plasma activity must be imagined. A common manufacturing process is electric discharge machining (EDM), whereby a series of controlled current discharges remove material from a surface, producing a desired pattern. Tornadoes and powerful lightning flashes are known on occasion to create trenches and Lichtenberg figures. Could similar discharge events on a planetary scale have gouged out riverbeds and canyons, on other planets as well as on earth? Could this also have occurred in prehistoric times, prompting human witnesses, scared witless, to recognise a ‘creative dragon’ in a vortical plasma cloud that, tornado-like, scoured the landscape? Blasphemous though the thought may be to geologists used to imperceptible slowness in their models as well as their thought processes, the electrical phenomenon itself is undeniably real. 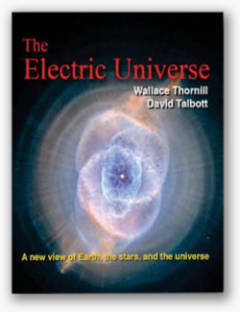 Plasma cosmologists, who demonstrate a much greater awareness of the preponderance of the electromagnetic force throughout the universe, could more easily accommodate the thought of atmospheric discharges leaving visible marks on the surface of the earth. It is to be hoped that future research will be able to close at least this rift.